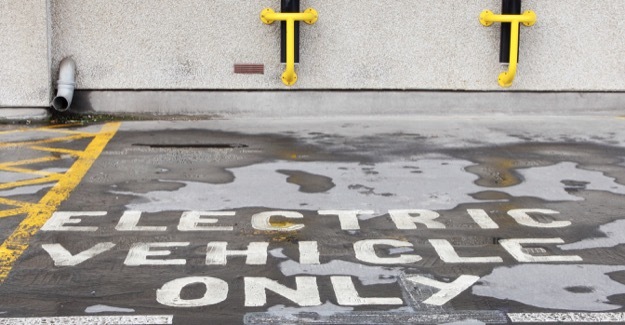 Only a third of councils surveyed by the RAC Foundation say they have installed public charging points for electric vehicles, and the promotion of green vehicles varies significantly between local authorities. Even the most progressive authorities are only using a fraction of the powers available to them to encourage drivers to use low and ultra-low carbon cars. The survey of councils was carried out by the transport consultancy SKM Colin Buchanan on behalf of the RAC Foundation. It is published on the eve of the RAC Future Car Challenge – a showcase for green vehicles – of which the RAC Foundation is one of the sponsors. All 207 councils in England, Scotland and Wales were invited to take part in the survey, with 58 (28%) agreeing to do so. Of these 58 local authorities, only 20 said they had installed public charging points, and of those that were in place none were of the rapid charge type. In total, councils reported they had installed 275 charging points. Councils have twelve different statutory powers – covering such areas as parking and planning – that they can use to ‘nudge’ people towards the use of greener vehicles of all kinds: hybrids and super-efficient conventional engines as well as pure electric vehicles. But the use of these powers is sporadic; many authorities have considered the options available to them and decided against implementing them for financial or political reasons. • 17 councils have Low Emission Zones, but 14 of these relate solely to air quality with only three also taking account of CO2 emissions. • Only 7 councils are implementing, or have implemented, reduced public parking rates for greener vehicles. • Only 1 council is considering a dedicated lane for greener vehicles. • However 15 councils have implemented, or are implementing, minimum standards for the number of charging points in residential developments. • More encouragingly 33 councils are, or will be, introducing greener vehicles into their own fleets and 13 are demanding their contractors also use such vehicles. The results of the poll are published in Going Green: How local authorities can encourage the take-up of lower-carbon vehicles. “This survey should serve as a reality check. Councils have statutory responsibility for a lot of things, but promoting the wider use of green vehicles is not one of them. While they have the powers to influence the adoption of lower carbon cars, using these powers does not seem to be a priority for many. Given all the other obligations on councils, and their reduced budgets, this does not come as a surprise. “The reality is probably worse than this report portrays because we would expect those councils that did agree to participate in the survey to be the ones which were most enthusiastic about the green agenda. In fact about half of the responding authorities were part of the Government’s Plugged-In Places scheme. “The RAC Future Car Challenge demonstrates that the auto industry is driving forward innovation in green vehicles but our report underlines the need for action on a broad front to promote their use. For all the talk about low-carbon cars, the data shows the reality is more evolution than revolution. “If government is serious about carbon emission reductions to meet the climate change targets, it should consider the role that local authorities can play in ‘nudging’ the use of lower carbon vehicles of all kinds, and encourage them to use the powers they already have to do so. The RAC Future Car Challenge will feature more than 60 of the greenest cars on the road driving from Brighton to London on Saturday 5th November. The winner of the event will be the vehicle which uses the least amount of energy to complete the journey. The RAC Foundation is entering two electric vehicles in the Future Car Challenge: the Delta Motorsport E4 – driven by Kevin McCloud, the presenter of Channel 4’s Grand Designs programme – and the Lightning GT, both of which are British. RAC Foundation staff will be available for interview in Brighton and London on Friday & Saturday. The full report and a summary of the all the survey questions and answers are available on request and will be on the RAC Foundation website from the date of publication. In the report, the term green vehicles relates to low (emitting less than 100gCO2/KM) and ultra-low (emitting less than 75 gCO2/km) carbon vehicles. The survey was carried out in June 2011. Note: only 37 councils of the 58 councils which took part in the survey responded to this question.